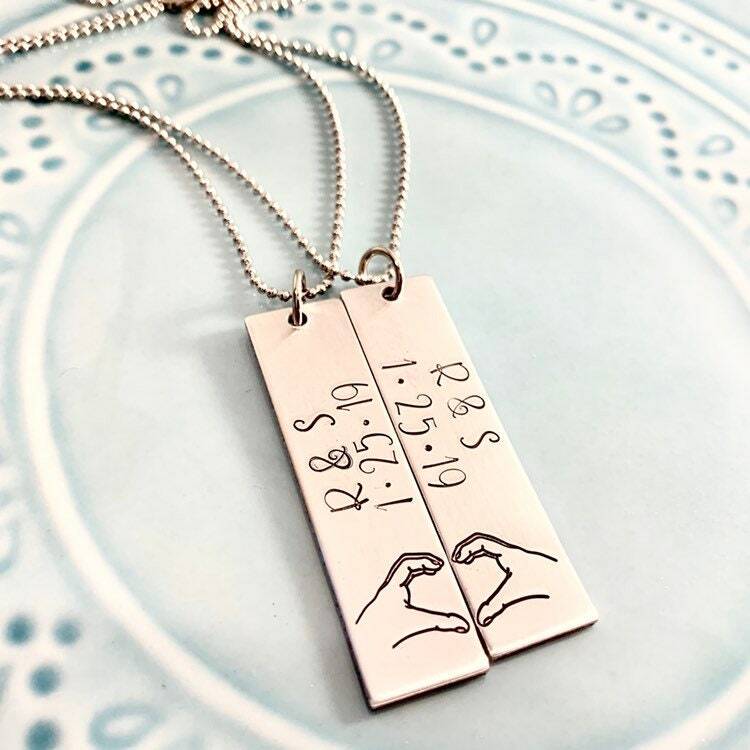 What a great necklace set for a couple to show their affection for one another. Price includes the 2 necklaces as shown. I can also do them as keychains, or mix and match with a necklace and keychain. Be sure to tell me in the notes section what your preference is.